HIV stands for human immunodeficiency virus. The abbreviation “HIV” can refer to the virus or to the infection. Unlike some viral infections, the human body cannot fully clear the HIV virus. The HIV virus reduces the number of CD4 cells in the body. These cells are the infection-fighting cells that the human body produces. 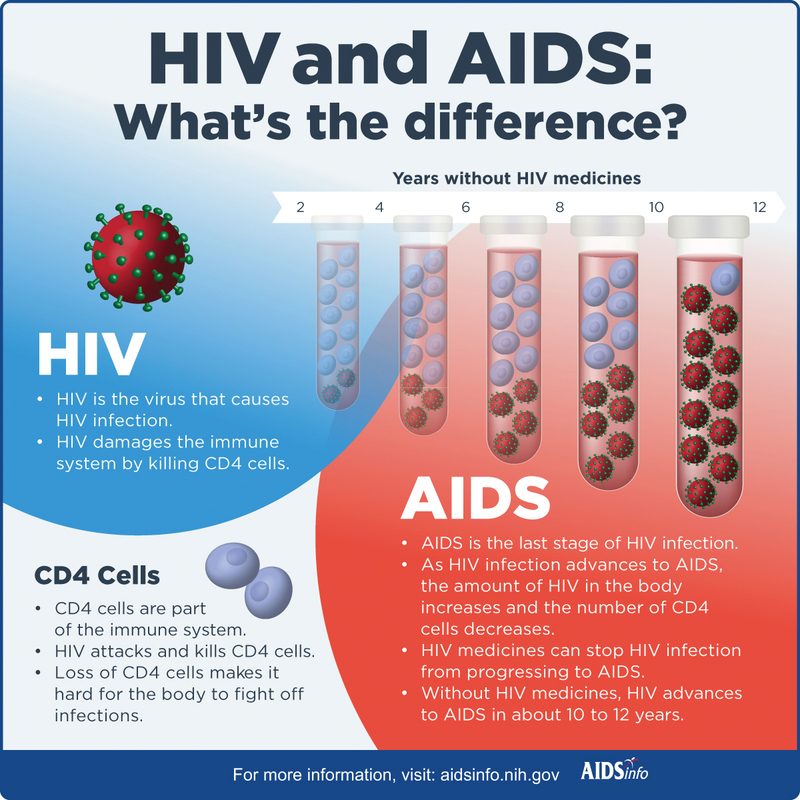 If left untreated, over time HIV can destroy many of the CD4 cells and lead to an increasing number of other infections, known as opportunistic infections. Left without antiretroviral therapy, HIV can later progress to AIDS. This is the last and most severe stage of HIV infection that occurs when the body has a weakened immune system and a low CD4 count. A person is considered to have AIDS when CD4 cells fall below 200 cells per cubic millimeter of blood (200cells/mm3). You can also be considered to have AIDS if you develop one or more opportunistic infections regardless of CD4 count. Without treatment people who progress to AIDS typically only survive a few years. « What do viral load and CD4 count mean? » What is the difference between PrEP and PEP?